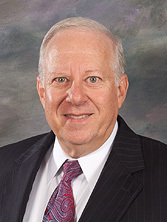 Alan Lubiner served as an Immigration Officer and Attorney for the Immigration and Naturalization Service for more than 5 years. He also served as a Special Assistant U.S. Attorney assigned to special prosecutions and assisted in the drafting of immigration legislation for the Select Commission on Immigration in Washington, D.C. Mr. Lubiner represents both individuals and companies in all types of immigrations matters including non-immigrant and immigrant visas, change of status, students, priority workers and extraordinary ability aliens, citizenship and deportation matters. Mr. Lubiner is the co-author of Immigration Made Simple and Citizenship Made Simple and has lectured extensively on Immigration issues. He is a former Chairman of both the New Jersey Chapter of the American Immigration Lawyers Association (AILA) and the New Jersey Bar Association's Immigration and Nationality Section.